One Direction are apparently gearing up to take on boyband royalty Westlife by releasing their debut album on the same day. 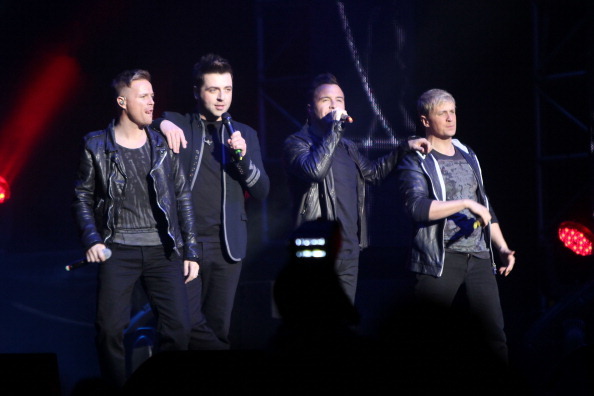 Fresh from scoring their first UK No.1 with What Makes You Beautiful, the lads are reportedly preparing for their biggest battle yet, by going head-to-head with Westlife in the album charts. According to The Sun, Harry Styles, Zayn Malik, Liam Payne, Niall Horan and Louis Tomlinson will apparently release their first LP on 21st November – the same day as Westlife’s Greatest Hit collection. After What Makes You Beautiful became the fastest selling single of the year so far, our money is definitely on The X Factor group to triumphant in the battle of the boybands.